The dry leaf smells of caramel, bright tropical fruit, and copper. The lid aroma was mostly floral, but a bit of the mineral/copper character can be found here too. It's not quite as powerful as a good dancong, but "dancong-like" isn't far from a good description of this tea's fragrance. The first few infusions are quite unlike the 2006; they are sweet like caramel, floral, and ethereal. The only thing that links the two so far is the above-average mineral aftertaste which grounds the otherwise flighty flavor nicely. After the first few though, the similarities between this and the 2006 become much more obvious; the earthy mineral flavor comes into focus and the caramel/floral sweetness tapers off, though if brewed with a lighter hand some sweetness remains to cut through the strong minerals. I also played around with the altitude at which I poured from the kettle: pouring a thin stream from high above the leaves seems to brighten the flavor a bit. This tea has a lovely cha qi. It brings peace without being overly intoxicating or jarring, though it has the potential to lay you out if you don't pace yourself. This is a tea worth sipping slowly, anyway. Thanks for the Tea Gallery review! It's nice to hear an opinion about their teas; I'm interested but the prices have always conquered my impulses. The mineral aspect seems to corroborate this tea's reputation--from what I've read (and much of what I've experienced), a lot of people describe Tie Luo Han as less fragrance-centric and more of a "warm" tea. Sounds like a splendid tea! The whole "cha qi" concept is confusing though. I have tried to notice it in the teas I drink, but the most I ever get is a light sweat. I almost want to try a tea with a powerful cha qi so that I might actually experience something! If you're looking for a (relatively!) cheap tea from them, try their Classic Roast Iron Bodhisattva-- I don't think I've talked to anyone who doesn't have some praise for it. Like the new design and as always, your tasting notes. Just wanted to answer your question about the two TieLuoHan's. Yes, they are both from the same farm and the 2006 was aged by Michael himself. You should try the TieLuoHan from the 90's. Now there's some fun cha qi. I'll ask Michael to send you a sample with your next order. Wonderful blog. Just bought more tea from Hibiki, am enjoying the Sencha Fukamushi. 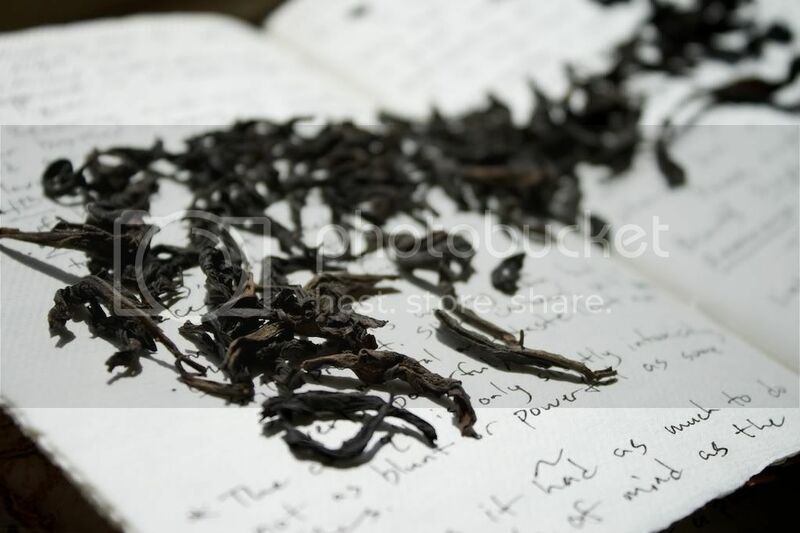 Great tea gallery review...I really liked the description and got to know something more about it.